Residential property management can become challenging during the holidays when residents begin violating rules that help make the community better for everyone. Most residents aren’t doing this purposefully — they’re likely not aware of the rules. Here are three common problems that you’re likely to face this holiday season and solutions to help you effectively manage each. Discuss parking rules with your residents early through multiple channels. Email your residents, post them on your HOA website, or on your social media if you have social channels. Also continue to remind your residents about parking regulations a few times throughout the season. If you need to mention violations, don’t call out the resident publicly — simply mention in the communications that violations have occurred and politely remind residents to read over the rules again. This removes the ability of residents to claim ignorance about the rules, and receiving reminders helps them to remember this important detail even when they’re busy with other holiday preparations. Put your HOA governing documents in a place that is easy for your residents to access. Post them to the files section of your HOA Facebook account, or have them hosted on your website so they can be found easily. Each resident should be able to access the documents at all times. During the holiday season, send a reminder to your residents through various channels regarding holiday decor before most people start setting up, and again when it’s time to take the decorations down, especially if this is a regulation included in your governing documents. Most HOA’s have to deal with trash violations throughout the year, but it’s more common during the holidays when trash pickup schedules have changed due to holidays falling on normal trash pickup days. Communicate with the city about when holiday trash pickups are for your streets and make sure your residents get this information. Email your residents the updated schedule and post it on your website or social media channels to ensure that they’re aware of when they need to be leaving their trash out — and when they shouldn’t be. Your residents will also be grateful for the reminder. With the extra trash they’re bound to have after holiday meals and unwrapping presents, they definitely wouldn’t want to miss trash pickup. Communicating with your residents is important not only during the holidays, but the rest of the year too. You can help make this season a little brighter with proactive, positive communication with your residents and plan ahead for the future to make your job a little easier. 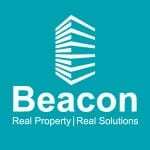 Beacon Management can help you manage your HOA with comprehensive services designed for your success. We can help you protect property values, conduct property inspections, create HOA policies and procedures, collect dues, communicate proactively with your board members, enforce deed restrictions and more. Working with a residential property management service can make your job simpler and ensure that you have everything needed to operate successfully. Call us today at 404-907-2112 or contact us online.